Just roll the dice and answer the question. One of the easiest ways to get your students excited about curriculum review is to turn it into a game. 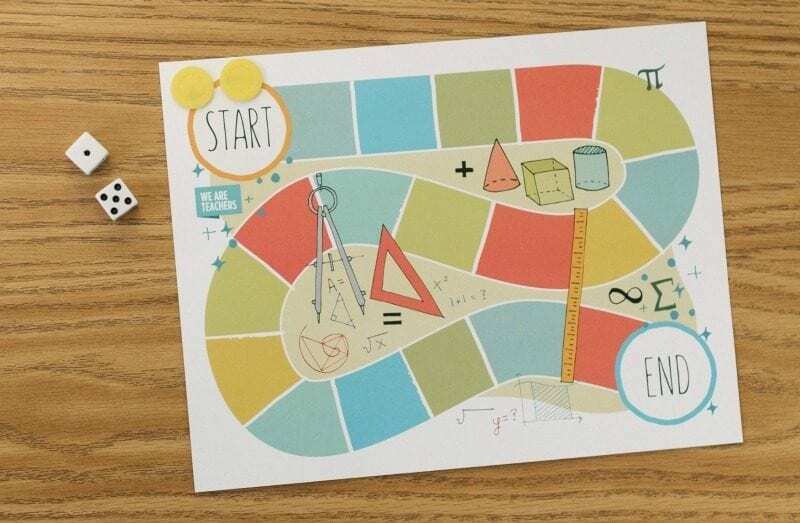 With these printable game boards, you can make any subject fun. 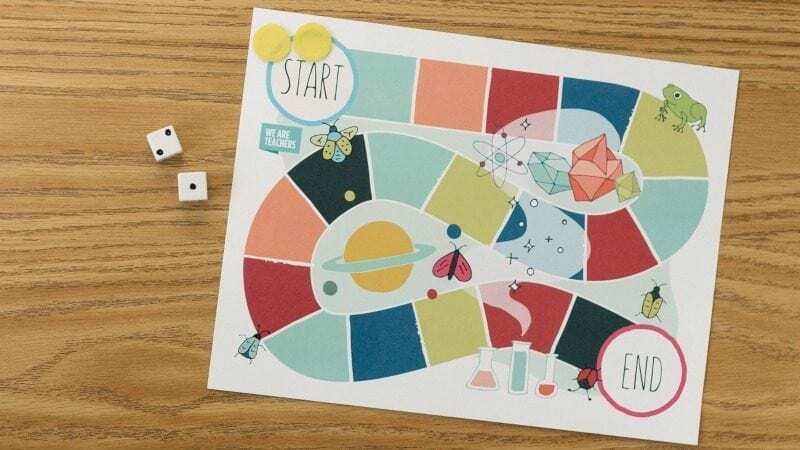 These printable game boards are simple, with a start and finish on each one. 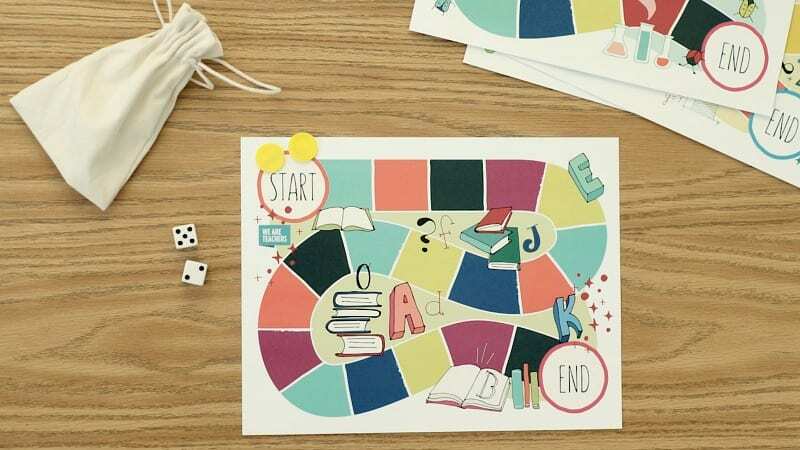 Students can play in pairs or in small groups, using game pieces and question cards you make. You can use the game boards as they are. Or make up your own rules based on the colors on the board or by adding notes to the board itself. We have several themes available for download, including reading, science, math, history, and fairy tale. Just submit your email to download. 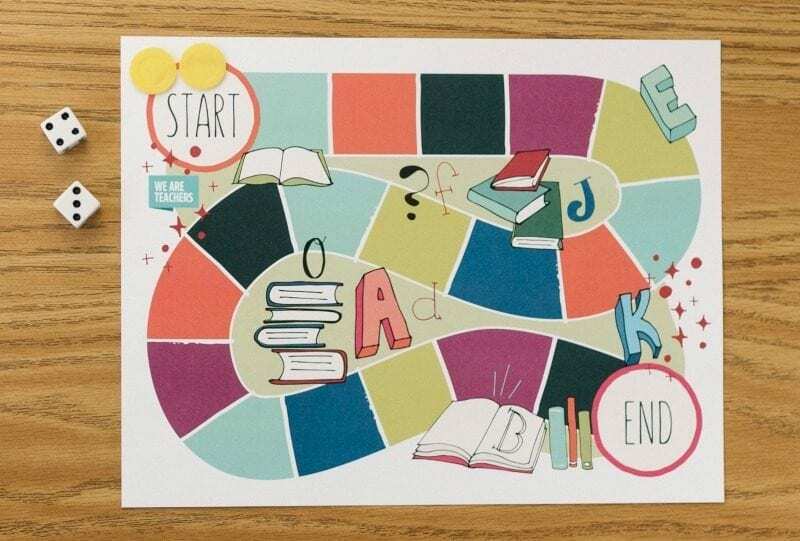 Grab your flashcards and turn them into questions. Each time a student lands on a square, they draw a card. Write your review questions on the board. Then assign each square a number that corresponds with a question. Using dice is optional, but the idea is that students move through the board to tackle all the questions. Place questions face down like a game of Go Fish. Then as students make their way through the board, they can draw a card and answer the question. Plan for fun with a fairy-tale theme. 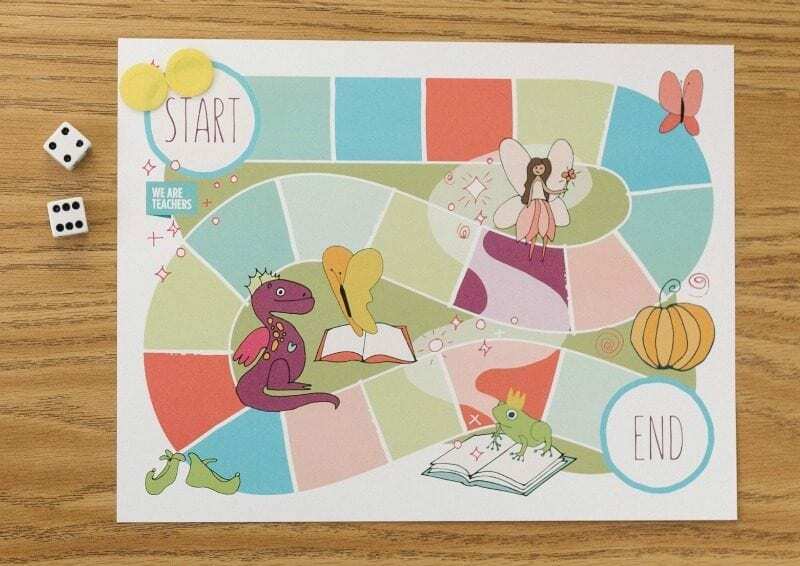 This game board has a fairy-tale theme, and you can use it for anything! 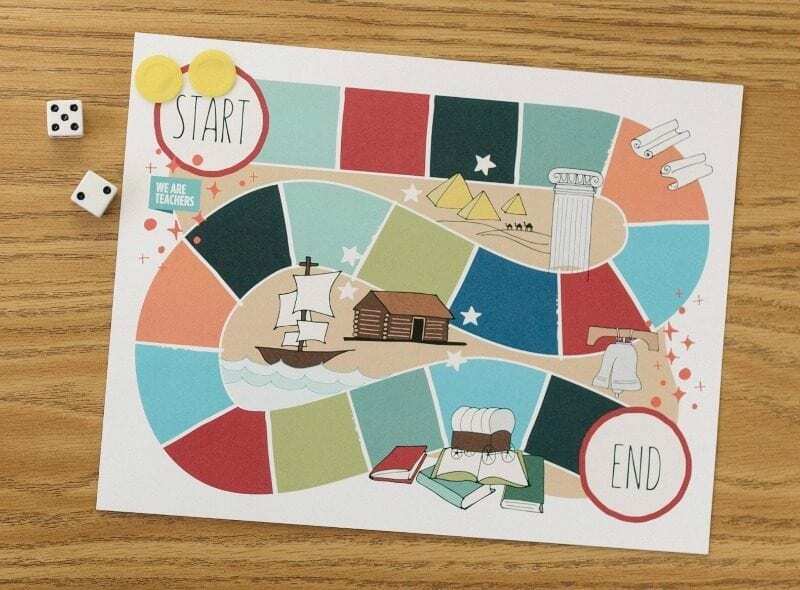 We recommend adding instructions directly onto this game board, like “skip ahead two spaces” or “go back to the start.” It’ll make it fun and keep them guessing.